So you’re getting ready to head out on the water and begin packing a few essentials to bring along. Sunscreen, check. Water bottle, check. Snacks, check. 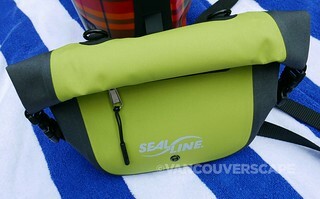 We were recently sent a couple of SealLine products to take out to the lake: a Dry Deck Bag and a Seal Pak. 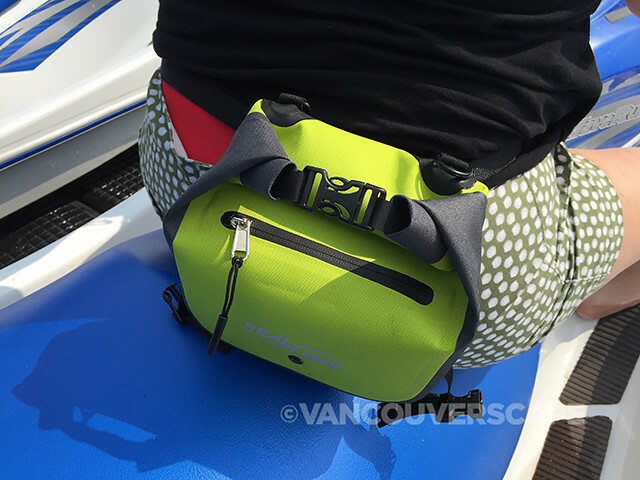 This boat-friendly bag is super cool and comes in a variety of sizes and colours. 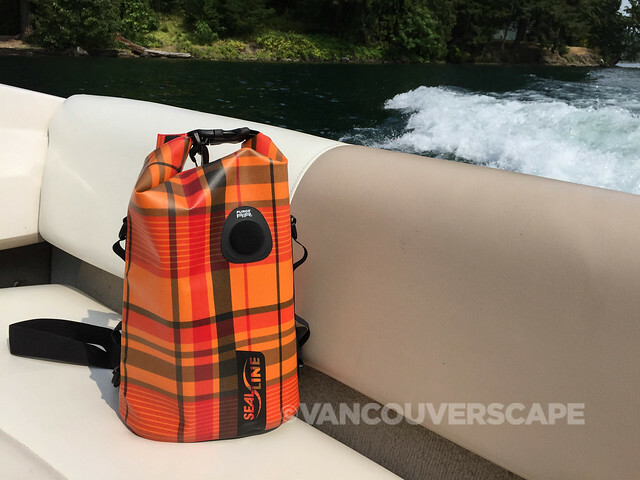 Ours is the orange plaid 10L model (priced at US $49.95/CDN $64.95); the bags come in sizes ranging from 10L to 50L in capacity. An adjustable carry strap with swivel hooks makes it easy to port around from deck to boat. 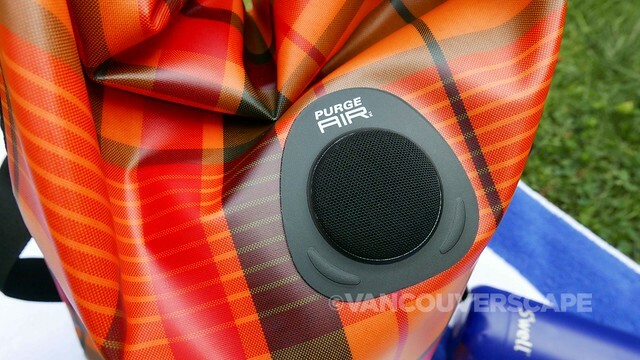 I’ve owned SealLine gear in the past (for kayaking) and this one has a pretty neat feature: a purge air button to ‘burp’ out excess air. You push down while rolling and sure enough, the air will begin to leave, giving the bag a bit more room to fill with stuff. The oval shape helps to keep it upright while a couple of lash points on either side of the bag can anchor it to a SUP, kayak or motorbike so it’ll stay put. I can definitely feel the solid, durable construction as I open, roll and buckle it (buckling the bag proves a bit tight as it’s still new). The solid colour bags apparently contain a lighter material colour inside to make it easier to spot your gear. In reducing environmental impact, SealLine uses PVC-free materials with fully-welded seams to help maintain waterproofness. We’ve been taking the Dry Deck Bag out to keep essentials close at hand but I can imagine making use of the larger-volume bags for a multi-day kayak trip. 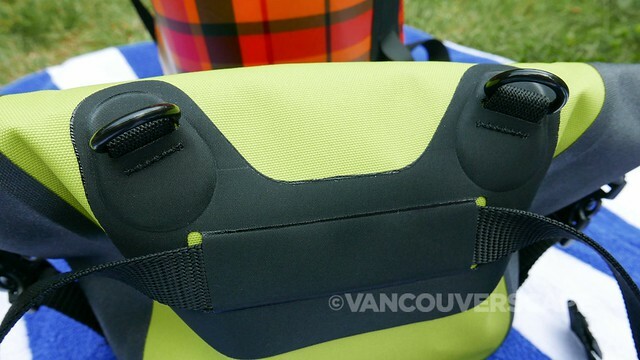 Now imagine the watertight features of a dry bag in a hip pack format. 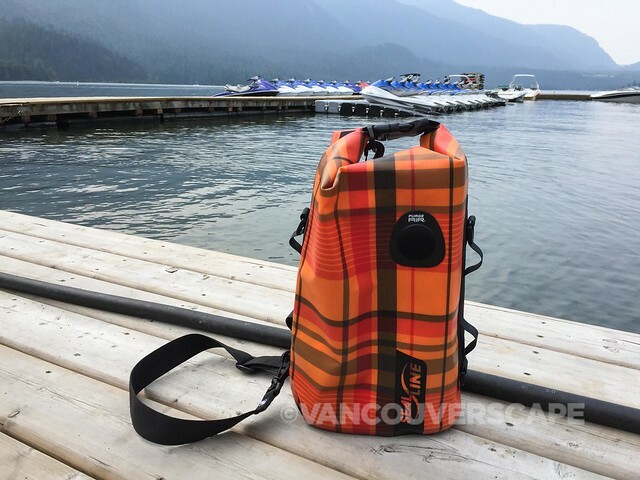 The Seal Pak is perfect for storage while hiking near waterways, on a SUP, Sea-Doo or anywhere you need hands-free access to your essentials. The adjustable waist strap can be removed or used to secure the pack to a boat, bike or other equipment. 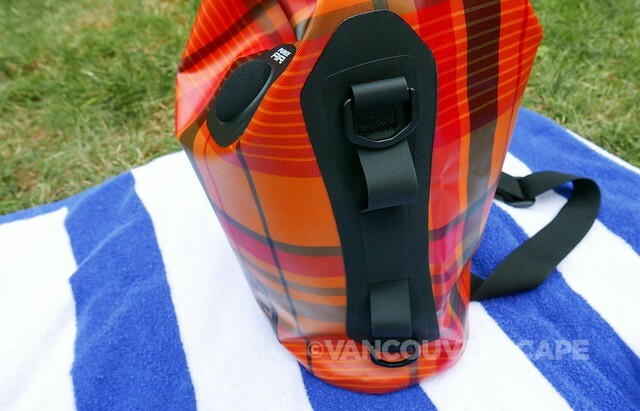 Towards the top on back are two loops to accommodate a shoulder strap or bungee cord. Like its big brother, the Seal Pak also rolls down and clips to keep water out, with an external zip pocket. You can either roll the material an clip it dry-bag style or slip it to the bottom side clips. The one thing I did notice on the zip pocket: a tiny hole with a metal grommet, so putting a smart phone in there, unless waterproof, would’t be the best option. The material is PU-coated polyester, PVC-free and easily washable with a soapy brush. 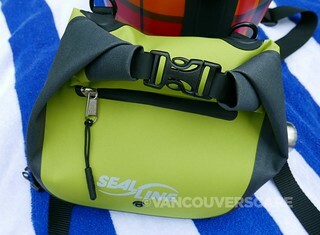 The Seal Pak retails for US $47.95/CDN $62.95. Speaking of completely waterproof products, SealLine does state that the bag is not suitable for submersion of photo or electrical equipment. 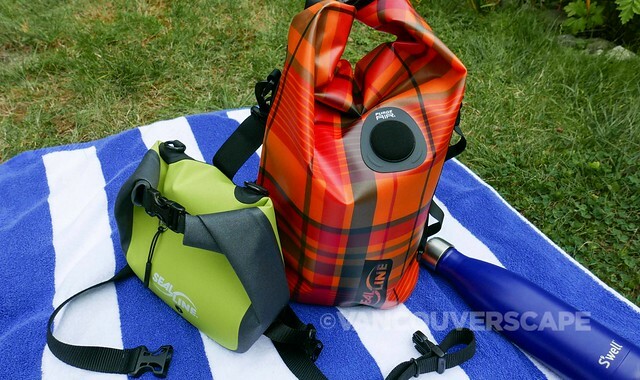 These dry bags are mostly meant to protect your gear from rain, splashing, spraying and intermittent shallow immersion. Both products are made in the USA with US and imported materials with lifelong warranties against manufacturer’s defects. Non-watermarked images courtesy of SealLine.